Does your house in Montgomery County MD have wildlife invasion problems? Trappro wildlife service technicians are experts in humanely removing all types of wild animals from residential homes and commercial businesses throughout Montgomery County Maryland including squirrels, raccoons, bats, birds, pigeons, woodpeckers, beavers, fox, flying squirrels, groundhogs, opossums, snakes, skunks, mice, rats and other animals from attics, basements, sheds, roofs, chimneys, underneath porches or wherever the pests, critters or wild animals have invaded. Expert cleanup and home repairs also available to keep these animals from returning to your house once they have been trapped and removed. So if you hear noises in the attic, scratching in the walls, think an animal is stuck in your wall, banging sounds from vents and fireplaces, hear strange sounds in the house or notice holes near your gutters and along your roofline or bat droppings, bird droppings or other odd animal messes call us right away. Our goal is to professionally, humanely and expeditiously rid your home of any and all invasive wildlife while offering knowledgeable and friendly service at affordable rates. We specialize in exclusion* work, as well as odor control and hazardous material removal expired carcasses, nesting materials and animal feces. We remove squirrels, bats, snakes, raccoons, birds, opposums, skunks, ground hogs, beavers and other nuisance animals and other wildlife that may be trapped in your attic, chimney, garage, shed or basement and possibly be a rabies problem. Whether you are in Silver Spring Maryland, Rockville, Potomac, Gaithersburg, Germantown or anywhere inbetween, give us a call. We service all parts of Montgomery County Maryland. If you hear scurrying noises in the attic or scratching in the walls day or night and are worried that critters are trying to invade your home make sure to call or email us today. By calling us, with over 30 years of hands on experience, we will provide you a complete and thorough roofline inspection. We are able to pin point the exact points of entry as well as making you aware of future roofline vulnerability. We specialize in the removal of Squirrels, Flying Squirrels, Raccoons, Opossums, Bats, Birds, Skunks, Snakes, Mice, Rats, Beavers, Groundhogs and all other wildlife, plus rodent control in Montgomery County MD and exclusion which means repairs done to keep rodents out of your house. 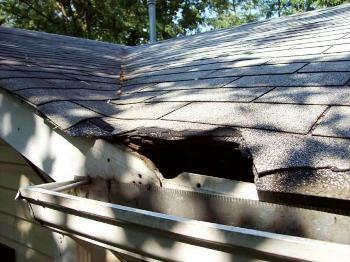 In addition, we specialize in the appropriate and necessary repair work to your house to prevent future occurrences. Our knowledge and experience allows us to provide our customers with a wide range of fast, convenient and efficient services which include trapping and removal of the following: Squirrels, Flying Squirrels, Raccoons, Bats, Birds, Pigeons, Groundhogs, Skunks, Snakes, Opossums, Mice and Rats. 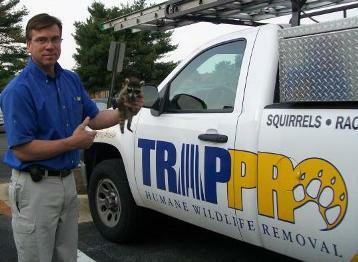 Trappro is not the local government animal control service in Montgomery County Maryland but can assist with all nuisance wildlife control, removal and repairs to keep them out. serviced include the following: If you don't see your city or the animal you need help with below please call.